Can books be inspirational? Yes! Definitely! Books are filled with heroes, adventure, advice, lessons, education, role models, dreams, new places, etc. They can inspire people to be more open, more knowledgeable, more curious, more creative, more courteous, more healthy, etc. The story in writing books or behind the book can be inspiring as well. Jodi Desautels currently has three children's books published. Each book has it's own inspiring purpose. To purchase a signed copy of "Clarinda Cloud," please contact Jodi Desautels. Clarinda Cloud is an adorable little cloud that changes colors as her feelings change. Clarinda Cloud is Jodi Desautels' "signature character" and is also promoted as an anti-bullying and bullying prevention spokescloud. Jodi Desautels hopes to have an entire Clarinda Cloud series and product line some day. The book is a concept book which features colors and feelings. It is a great resource for parents, grandparents, daycare providers, early educators, and children's counselors to practice and discuss the identification of basic feelings. "Clarinda Cloud" has repetitive text and whimsical illustrations to help and encourage the early reader. Is "Clarinda Cloud" inspirational? Yes! It is meant to inspire healthy habits and emotional well-being as well as early reading and confidence. 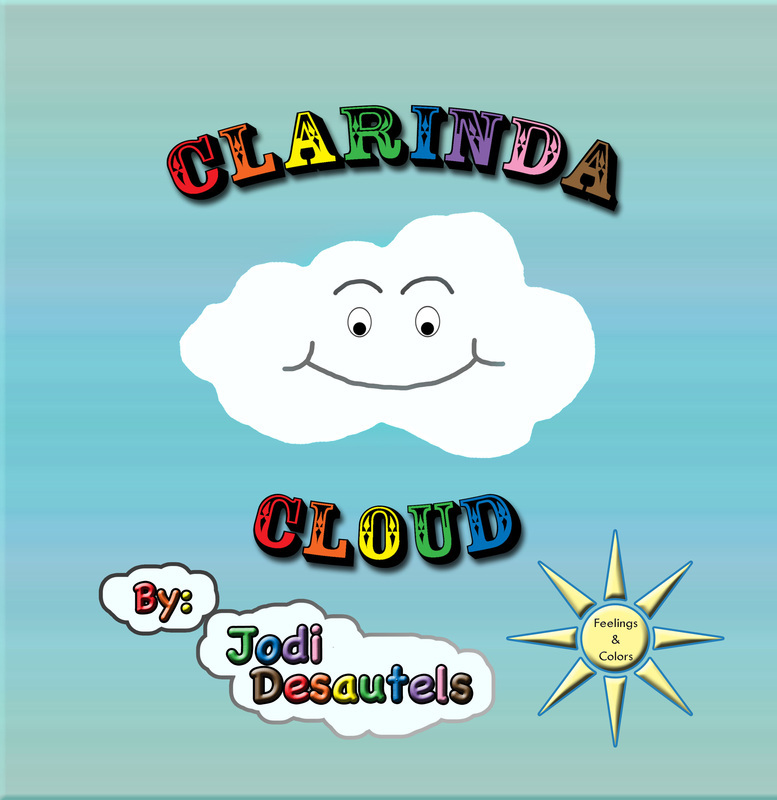 "Clarinda Cloud Activity Book" is based upon the book, "Clarinda Cloud." However, it is not necessary to have one to use the other. "Clarinda Cloud Activity Book" has activities for the young child to learn about colors and feelings. There are matching activities, find a letter, mazes, coloring, drawing, and more. Is the "Clarinda Cloud Activity Book" inspirational? Yes! It has educational and creative activities that will help a young child begin a journey of good emotional health. To purchase a signed copy of "Clarinda Cloud Activity Book," please contact Jodi Desautels. To purchase a signed copy of "Johnny's Adventure Makes Reading Fun," please contact Jodi Desautels. "Johnny's Adventure Makes Reading Fun" is a feel-good story about a boy who doesn't like to read and in the end, with Mom's help, finds a way to make it fun. The story was inspired by children the author, Jodi Desautels, taught who didn't like to read or who found reading difficult. Reading doesn't come easy for some. Is "Johnny's Adventure Makes Reading Fun" inspirational? Yes! It encourages reading, adventure, and quality family time.